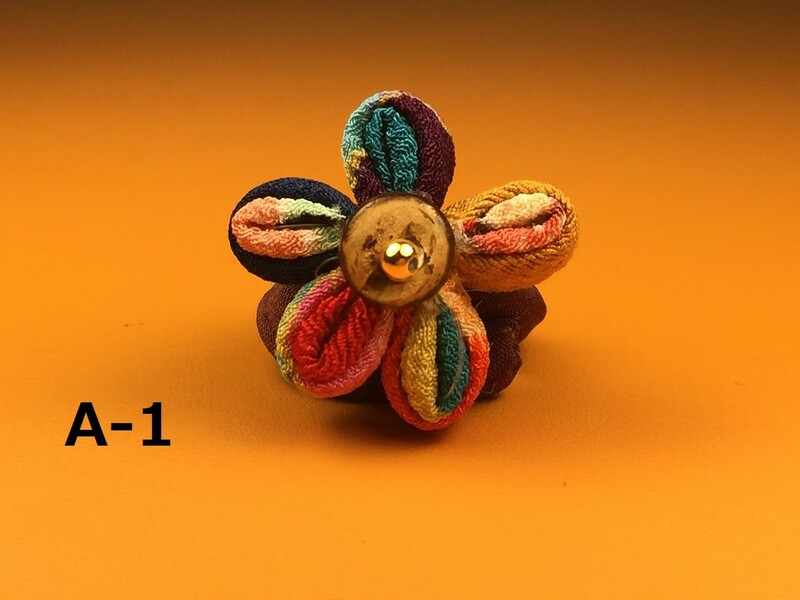 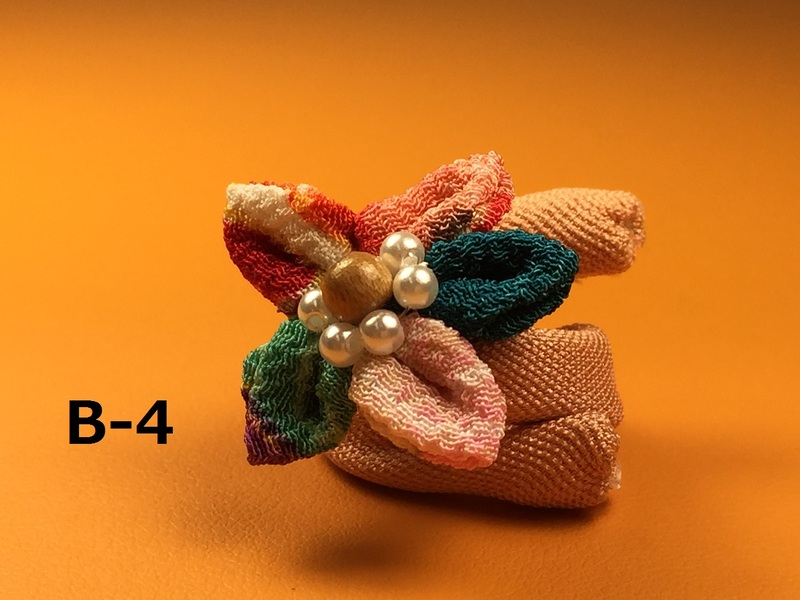 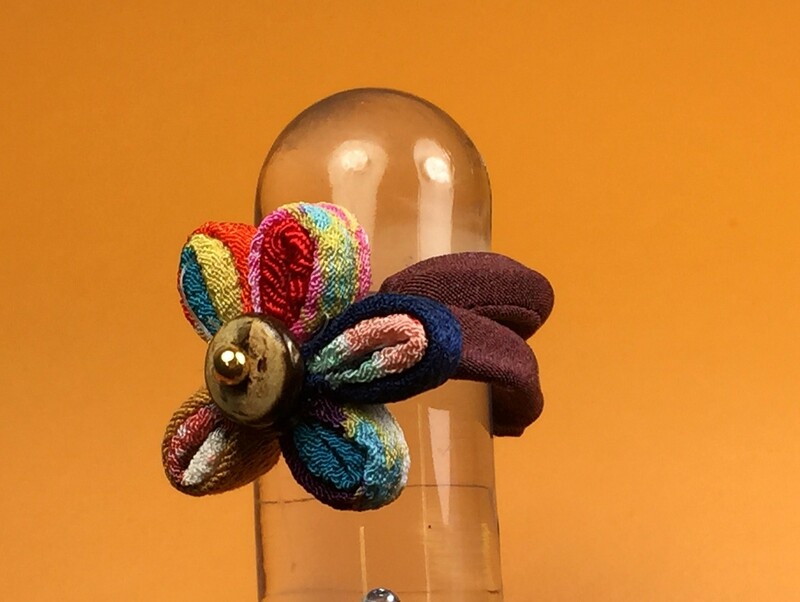 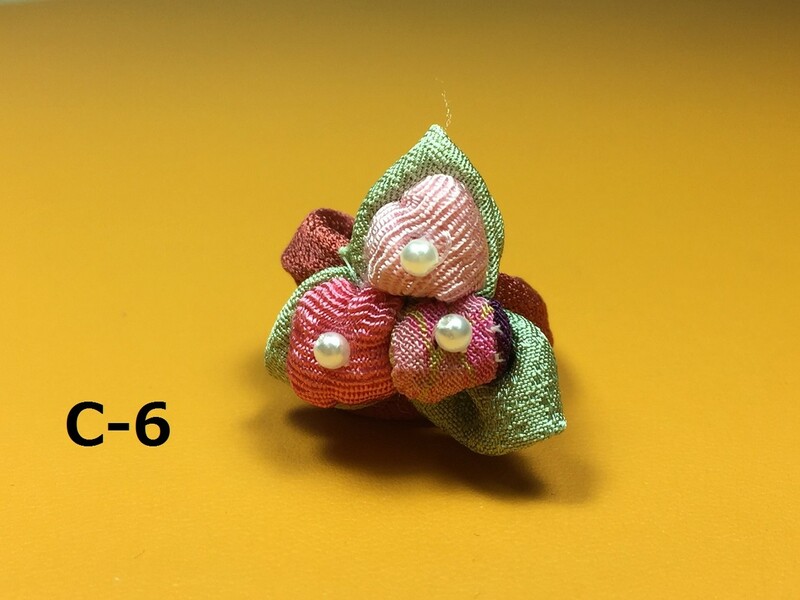 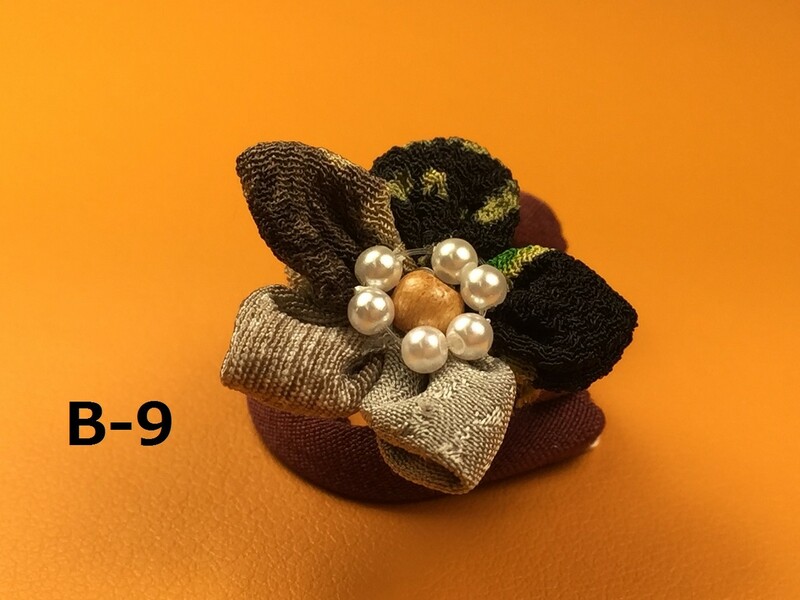 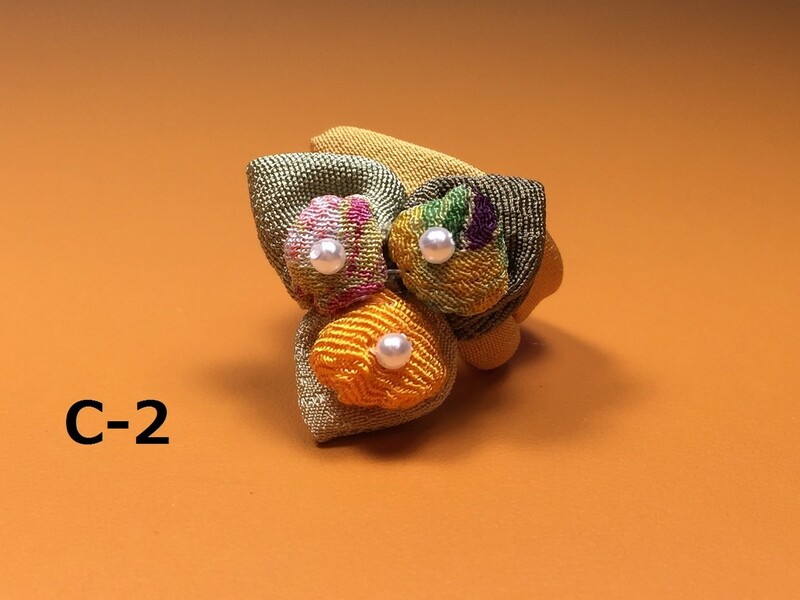 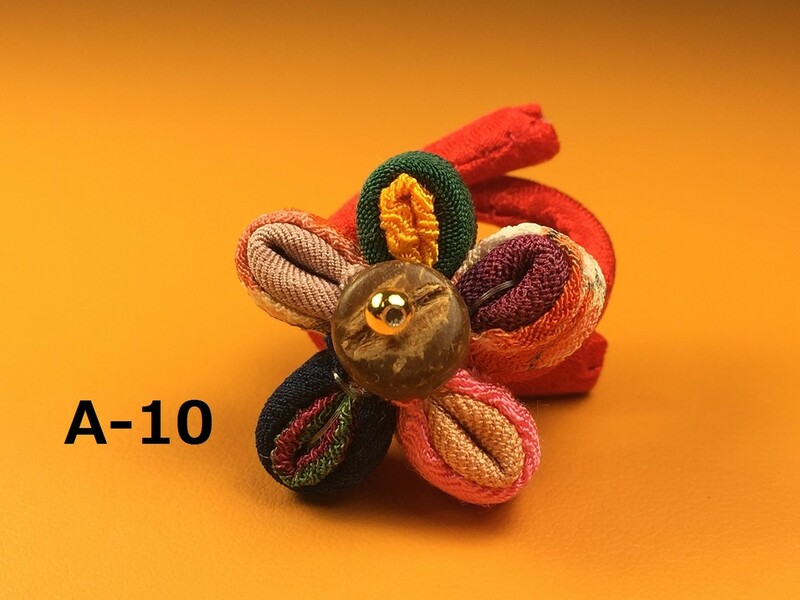 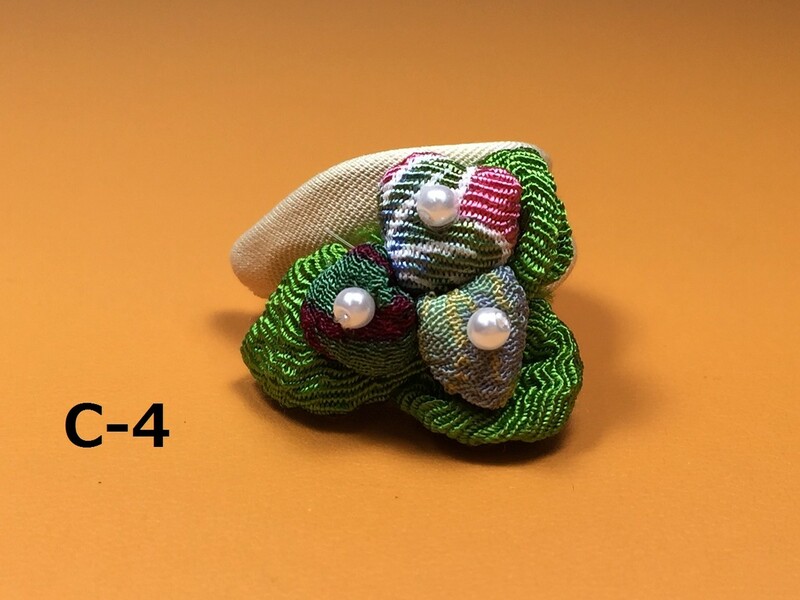 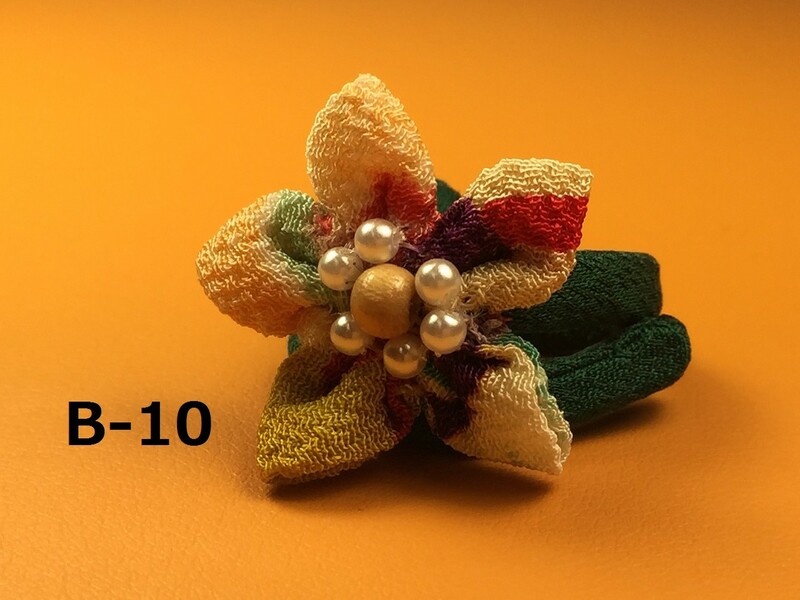 Flower shaped ring, made with Japanese chirimen silkcrape fabric. 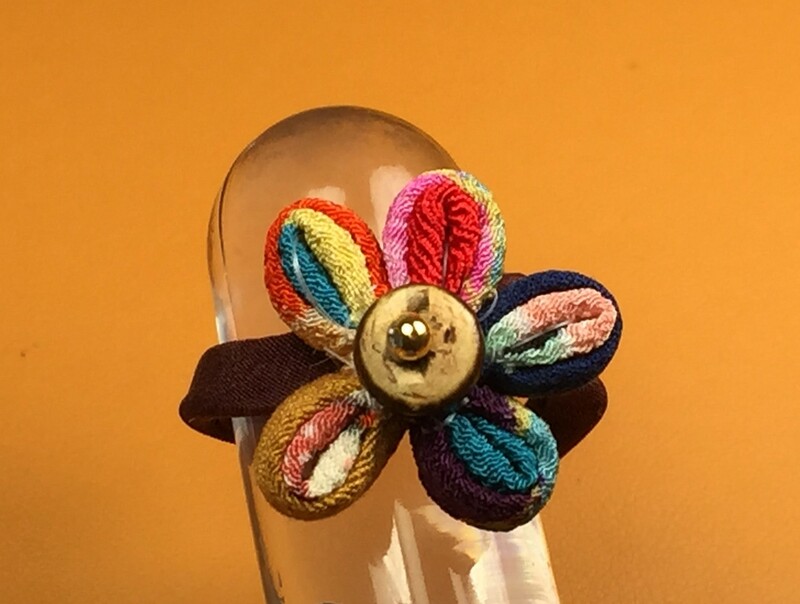 Ring size is adjustable by a soft wire, it will fit in any of your finger. 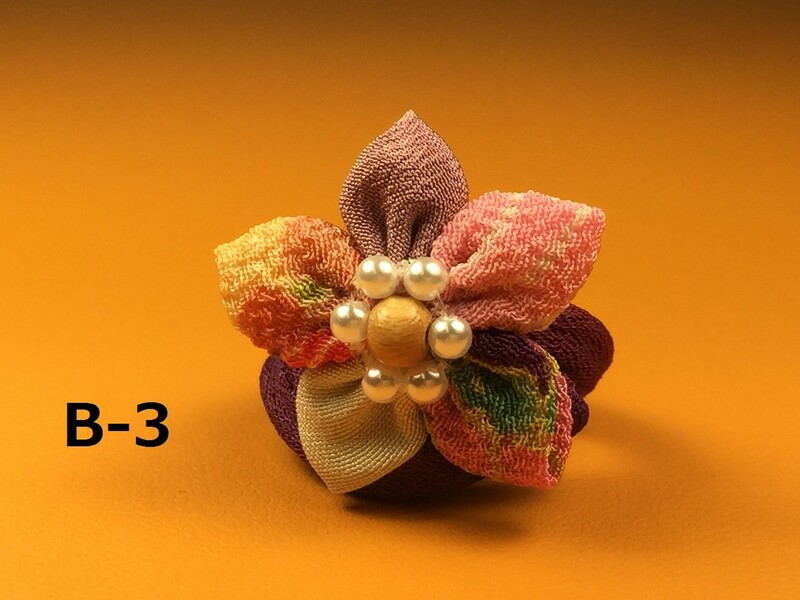 There are three different style of the motif. 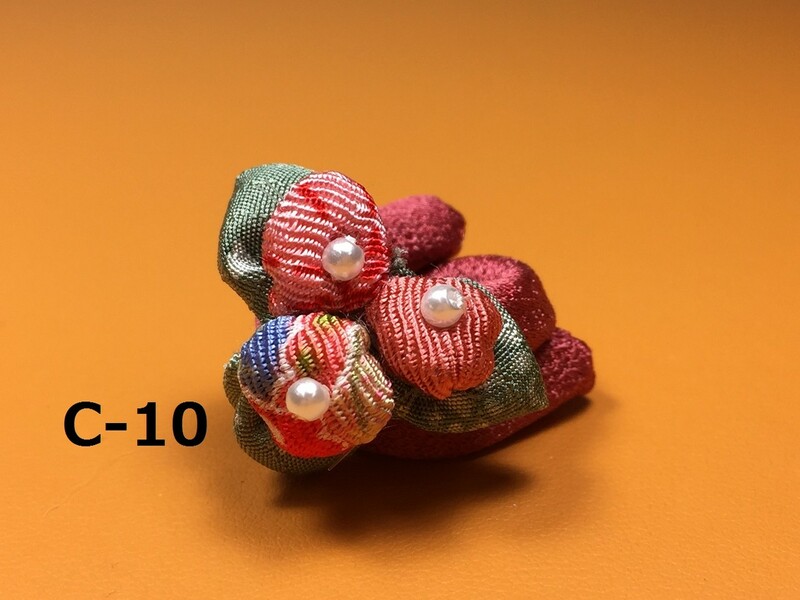 All handmade, the fabric's color, pattern or color combination are slightly different. 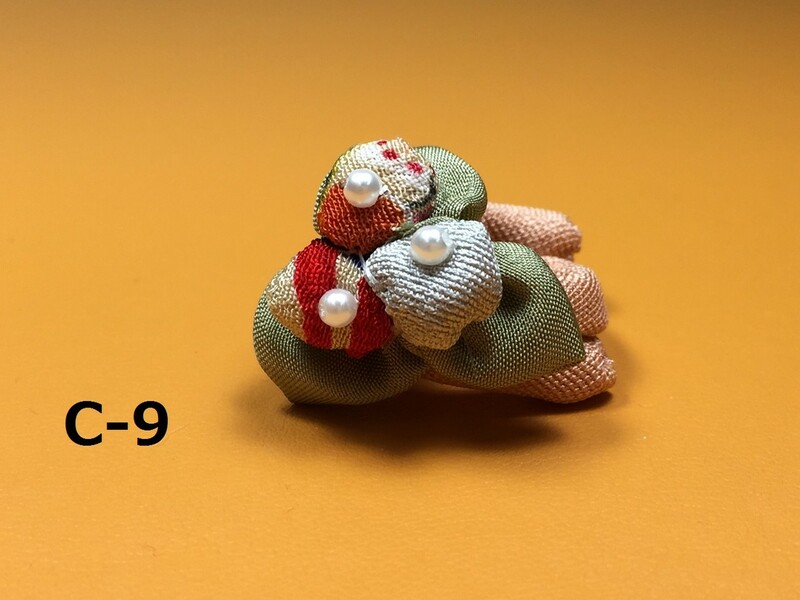 Please choose your favorite one from among them, and enjoy a unique ring in the world! 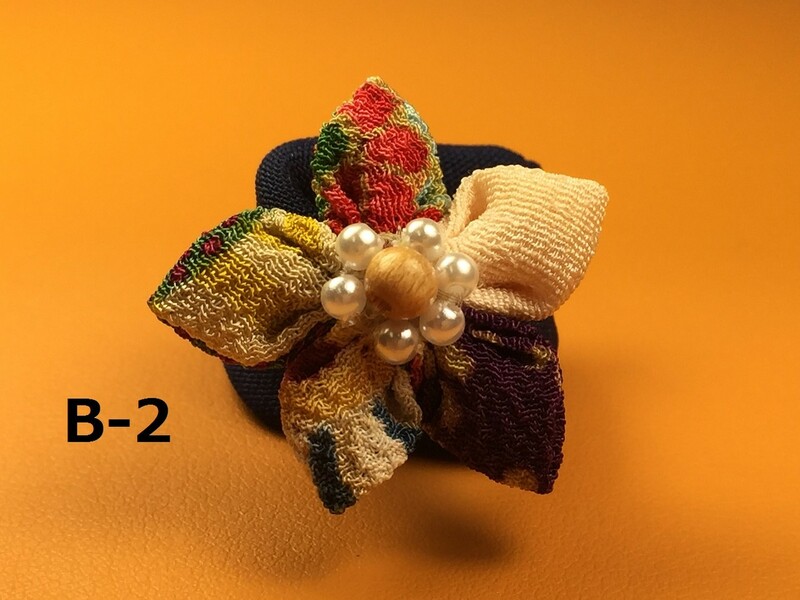 * You can also use the ring as hair accessory!